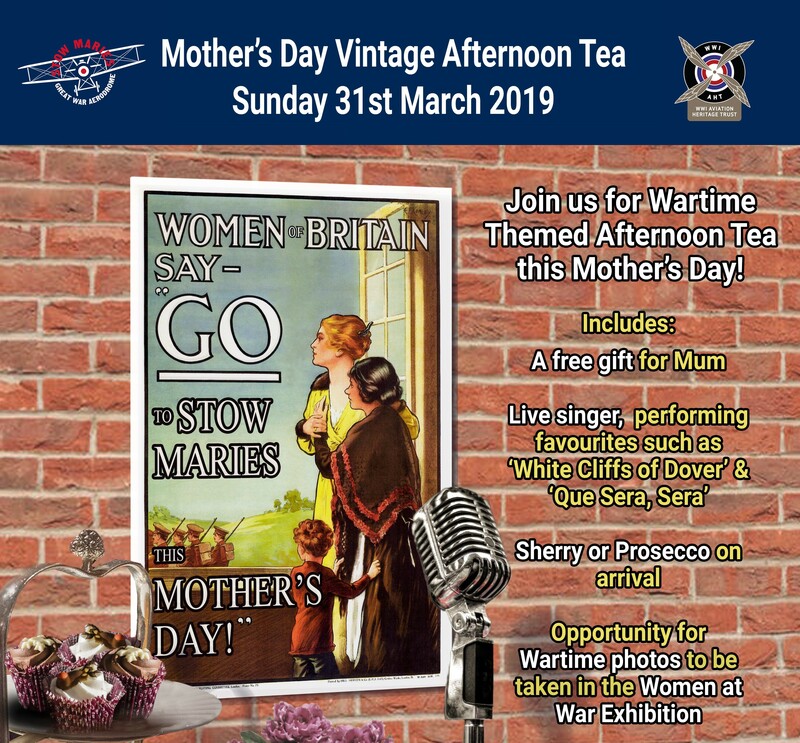 Join us on Mother’s Day for a Vintage afternoon which will celebrate the end of the RAF centenary year, with a real focus on the importance of mothers during times of conflict. Enjoy a sherry or prosecco on arrival, followed by afternoon tea and live music, including favourites such as ‘White Cliffs of Dover’ & ‘Que Sera Sera’. Our ‘Rule Britannia’ Women at War exhibition will be open. Use our Edwardian photographic studio as a backdrop for your souvenir photos. The afternoon will start at 2pm and will include a free gift for Mum.